The latest episode of Voyager Revisited posted: What Would Janeway Do? The incredibly cool Tammy Coron and I rave about Janeway and Kate Mulgrew. Next up: an overdue Micro Monday! My dog niece Olive is the only big dog who completely ignores Grace and Ada, so she is a good house guest for us. I have my dog niece Olive for a few days. 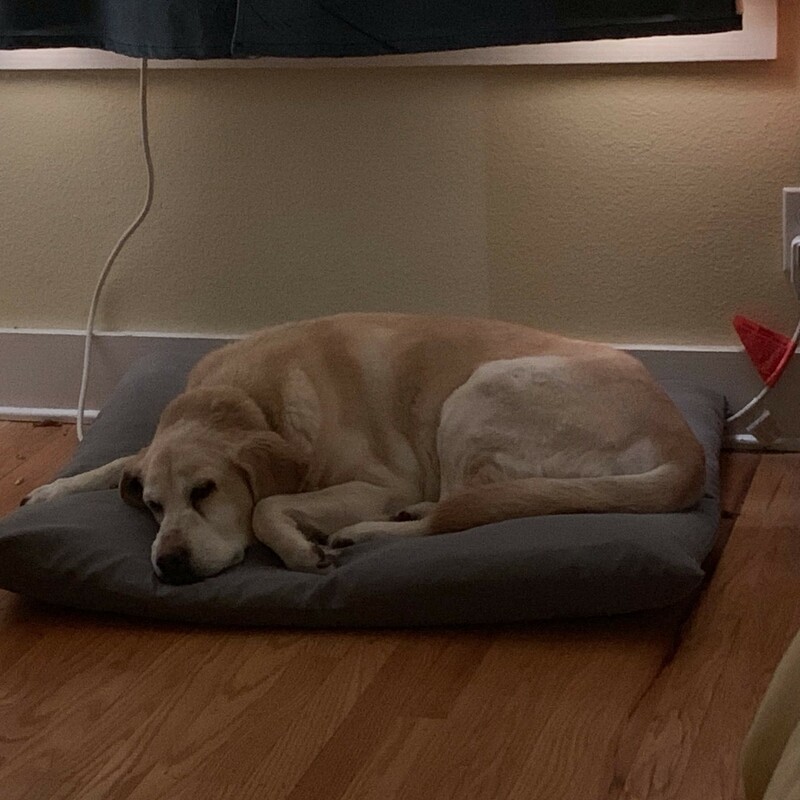 She’s an old girl, but a good girl. The new Micro Monday microcast features Kim Landwehr (@klandwehr). We had a great chat about what makes blogging and podcasting hard, and what makes Micro.blog easy. 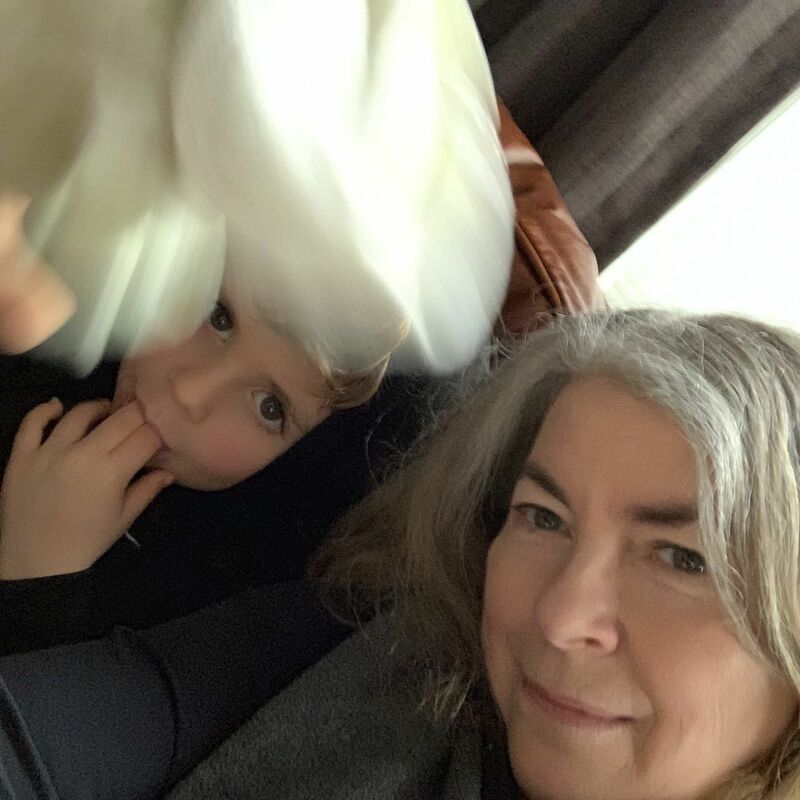 Spring break week in Portland results in unplanned but happy nephew wrangling. The latest episode of @TheWeeklyReview is posted. Doing a weekly review together was supposed to be a fun part of our week; @jamesdempsey and I take a look at the factors that have made it less fun and how we can fix that. And I’ve started a new podcast. 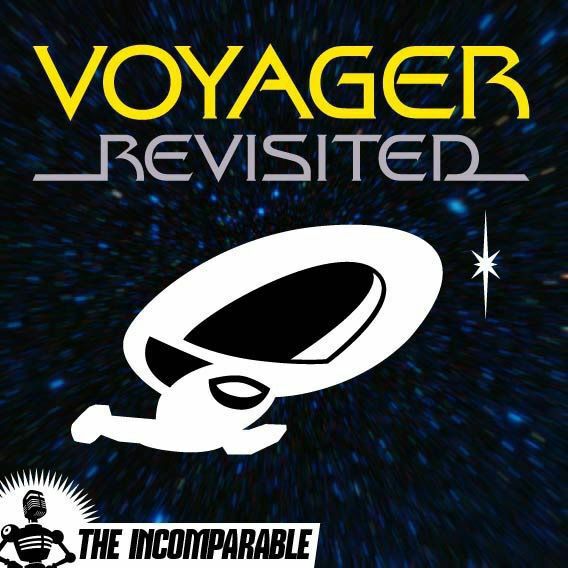 Voyager Revisited. I also moved my post about The Voyager Viewer’s Guide to this microblog, if you are wondering why a year-old post just reappeared…. I have published a viewing guide to Star Trek: Voyager. It’s a big project that I’ve worked on as a hobby for over a year in an effort to provide a constructive response to those who have watched a few random episodes and declared Voyager is not good. Y = Yes! A must-watch; these episodes are great, or at least important to the story and characters. S = Skip. Unless you’re interested in a particular character or story. N = Nope. Even I don’t rewatch these episodes. Some of them are truly dreadful. I wouldn’t have put this amount of effort and heart into a TV show viewing guide without deeply personal motivations. As a little kid in the 1960s, I watched Star Trek. I loved everything about it, but I especially loved Mr. Spock. He was handsome like my father, pointy ears and all. Some of the episodes really scared me, like The Doomsday Machine, which featured an enormous cylinder of unknown origin that just went around the galaxy destroying planets. Seven-year-old me worried such a thing could actually exist. So I missed the second wave of Star Trek television including TNG, Deep Space Nine, and Voyager. I might have seen snippets if I was at someone else’s house, but I didn’t see any complete episodes on a weekly basis. In Spring 2011, I had a terrible cold, a TV of my own, and a Netflix subscription. I treated myself to the first binge watch of my life. I must have been pretty sick, because my recollection is that I watched all seven seasons of Voyager in a couple weeks. It was fun. It was a great show, but I didn’t think much about it. A couple years later, I returned to Voyager for a rewatch. 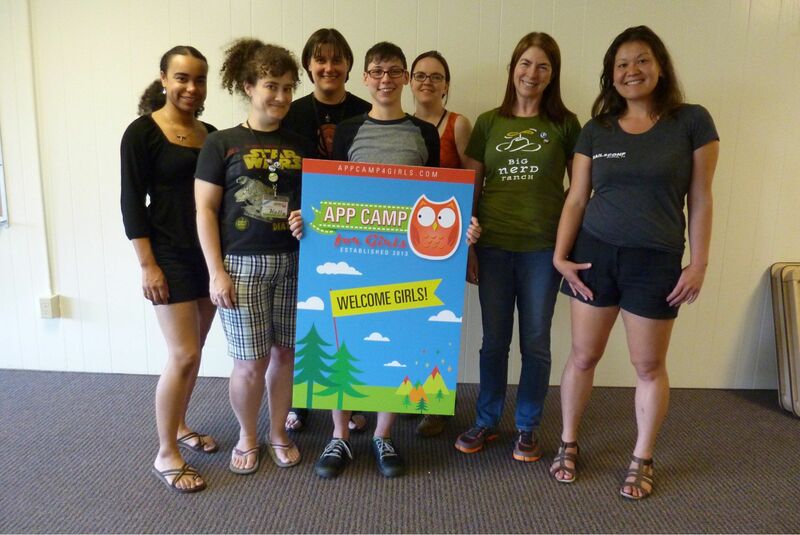 It was Summer 2013, and I was running the inaugural session of App Camp For Girls in Portland. I was up until midnight every night, prepping the next day’s materials so we could teach middle school girls how to make iPhone apps. As a way to wind down before sleep, watching Voyager seemed like a good mindless choice to me. Instead, I found myself watching Janeway and making mental notes. She became my idol in leadership. Nerves of steel, yet kind and compassionate. Fair. And badass when she needed to be. 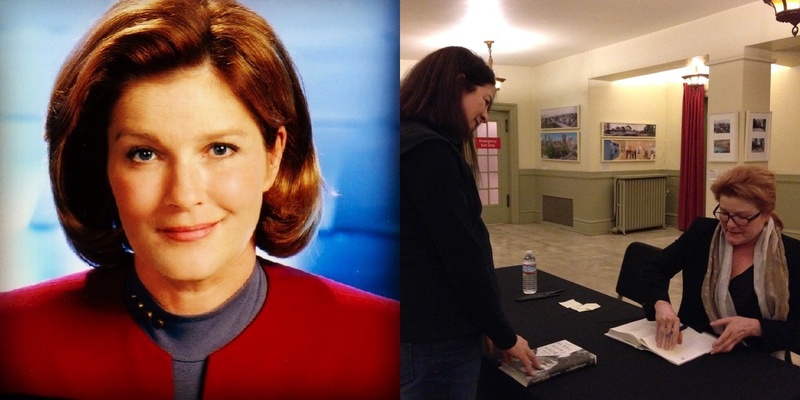 At camp, I had a new mantra: What Would Janeway Do? I hadn’t really noticed it before, but once I started to pay attention, it was so obvious. The mostly-male fans of Star Trek never gave this show a chance. Without watching it from beginning to end, they’d claim Voyager wasn’t as good as their favorite series. The truth is, when you watch a whole series, you develop a completely different relationship to the characters and stories. If you dip into the series randomly, you don’t have a stake in it. Gratuitous and uninformed sniping at Voyager continued to make me mad. I finally decided to channel that energy into a a viewing guide that would allow potential fans to avoid the truly bad episodes, skip the ones that aren’t relevant to the ongoing story, and be sure to watch the best episodes, as well as the episodes that are important for understanding the series. I’m not arguing that every Star Trek fan is obligated to watch every episode of every series. But you cannot claim a series is not good if you haven’t really watched it. I know from my own experience. I didn’t really like Deep Space Nine. The characters mostly get on my nerves. The religious underpinning of the plot is baffling. It’s a war story, the opposite impulse from “seek out new forms of life and new civilizations.” But I had only watched a handful of episodes from the first two seasons. When I learned that the host of Random Trek, Scott McNulty, considers DS9 his favorite, I decided to give it a real chance. I watched the whole thing. I still don’t like it as much as I do Voyager. But I appreciate what is great about Deep Space Nine now. Voyager is good, in the estimation of legions of fans. It is the most watched Star Trek series on Netflix. It has some of my favorite characters, it travels far, and and it encounters so many different alien species. But most importantly, it has three major characters who are women: strong characters who are not relegated to second-class status, who are not pigeonholed as healers, counselors or switchboard operators. And one of them is captain. Seven-year-old me could never have imagined that. 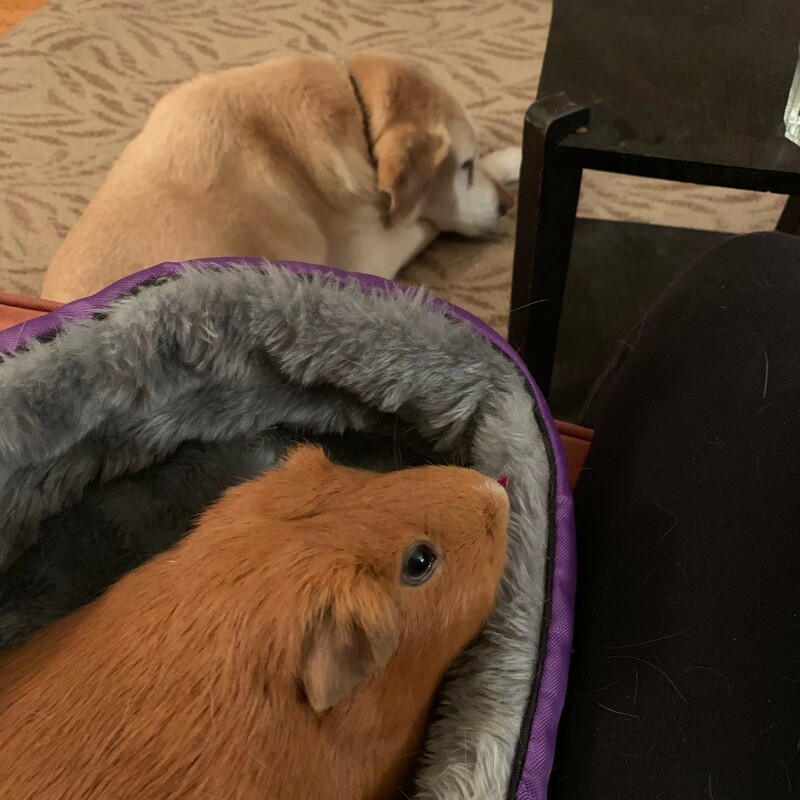 If I get back to Australia, I would seriously plan a trip to Wollongong so I could see guinea pigs Paco and Coco hang out with budgies Rogue and Rio at @martinfeld’s home menagerie. Sorry for the late post of this week’s Micro Monday episode! It’s already Micro Tuesday where this week’s guest lives. I hope you enjoy listening to @martinfeld from Wollongong talk about microblogging with me. 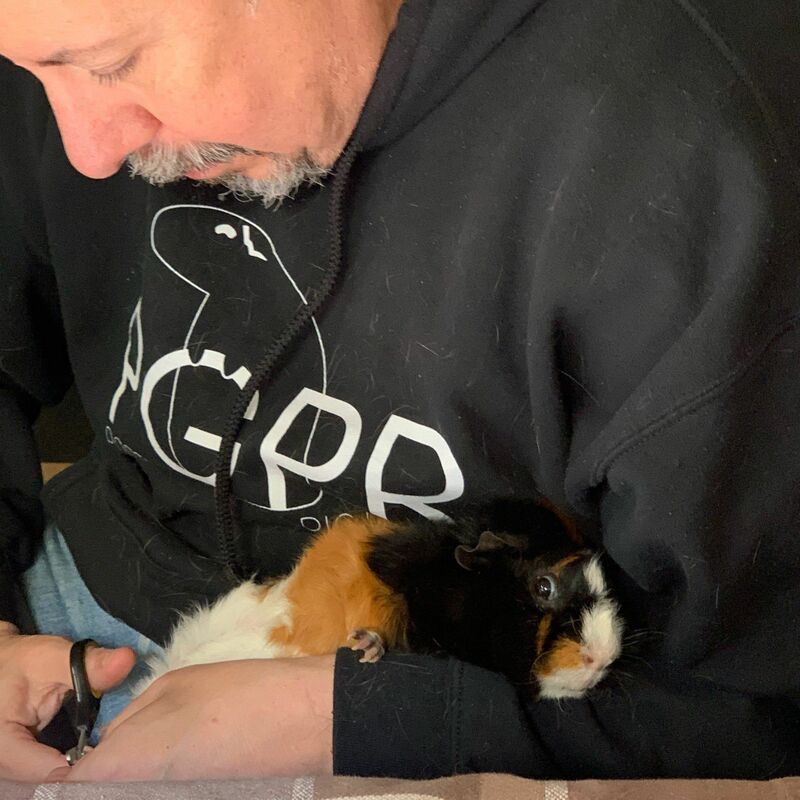 Guinea pig spa day. 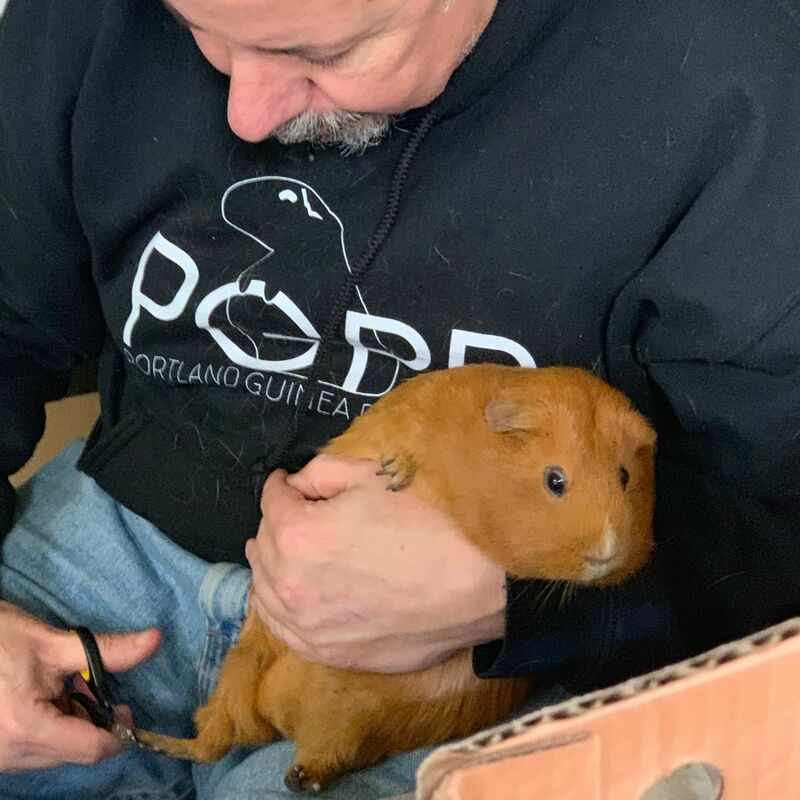 Thanks to the good volunteers of the Portland Guinea Pig Rescue, Grace and Ada got pedicures. Late last night I saw the Christchurch news breaking as I reviewed Micro.blog posts for the Discover timeline. It was such a shock. This morning I woke up to read the latest updates and the shock is even greater. You know that feeling when you first wake up, and you wonder if some bad news was a dream? We don’t keep stats here, but in my experience, we have quite a high proportion of Kiwis in our small community. I feel so sad for them today, and for all the Muslim community that is so senselessly attacked. In the face of such horror, I feel I have nothing to add today. So I am taking a day off. Thanks to Sameer for posting these photos of his mosque. Happy Micro Monday to all! I am pleased to offer another episode of the Micro Monday podcast. This week’s guest is @Gabz, who is great fun to chat with. Who has Micro Monday recommendations today? Your recommendations help me find guests for future episodes of the podcast. Last month, I was actually early for my flight to Austin, with every one of my pre-flight to-dos finished. This never happens! I used this little trick to lasso the time available so it didn’t slip away. Or it could have been flat-out phishing. I clicked on the Contact Us link, and got a hot mess of a contact page. Then I looked at this e-mail more closely, the return address seems suspect. 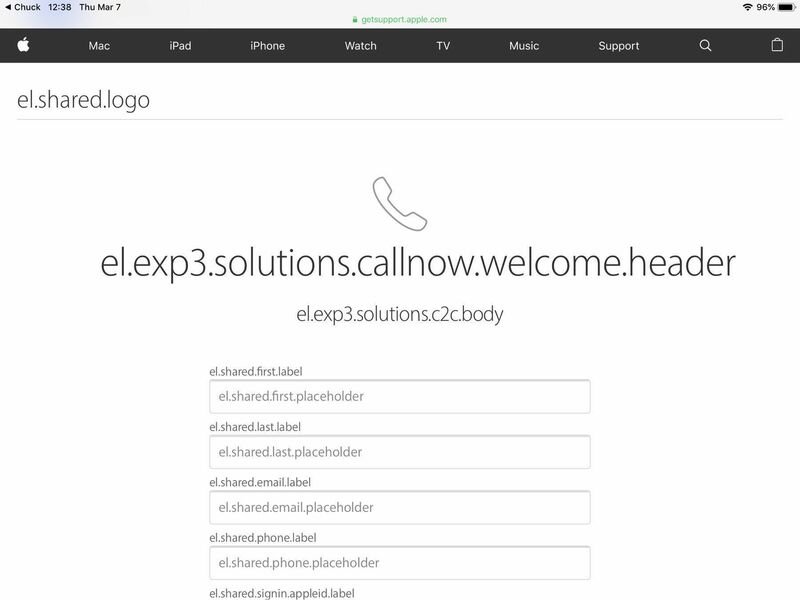 (applesupport@insideapple.apple.com) The case number was faked. Glad I called Apple! 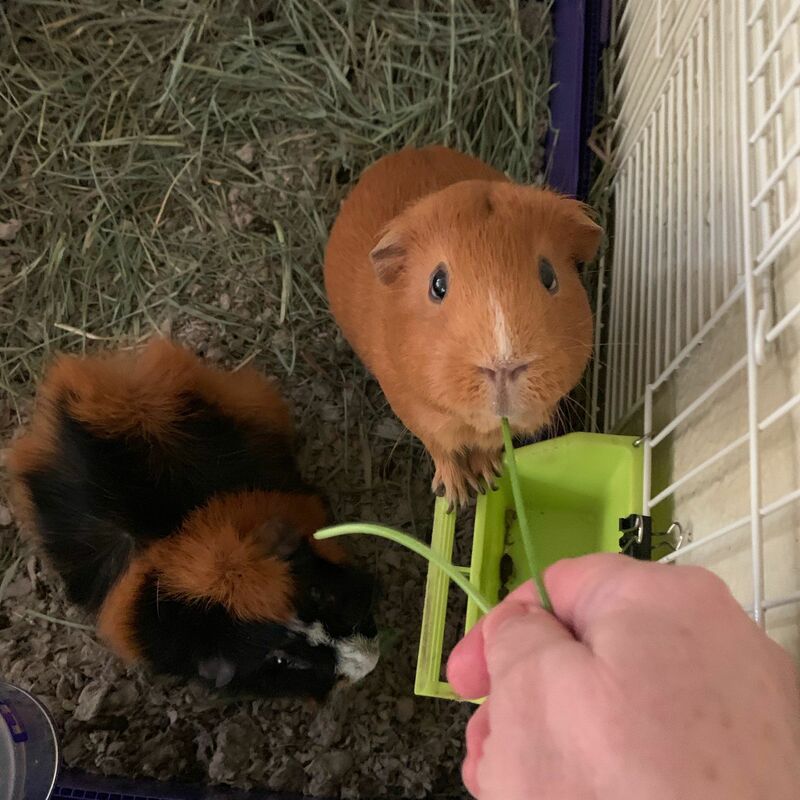 Parsley curation is an important part of the guinea pig concierge job description. 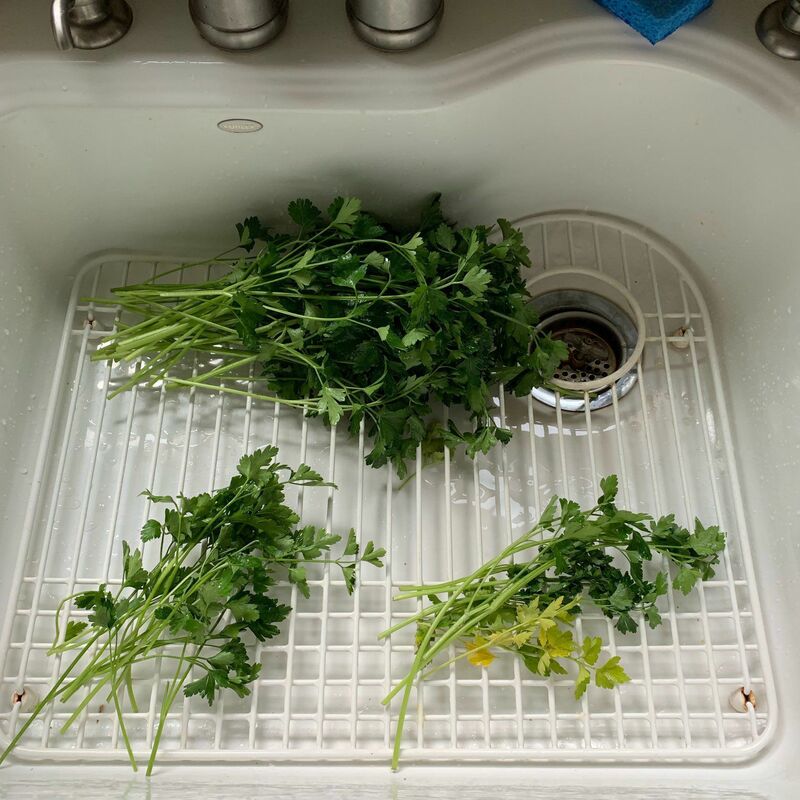 There are 3 piles: large stems to be trimmed and put in a glass with water for later, wilted stems to be composted, and random small sprigs for immediate treats. Today I got a request to rate Apple’s Customer Service. That confirms my suspicion that they were solving a problem for another user when I received alerts to allow Apple to view my screen, but have mistakenly associated my user ID with the support request. Should I call them? I declined and it popped up two more times before I shut down my computer. That does not sound like something Apple would do. Monday is a special day here. Instead of Follow Friday, we have Micro Monday. Everyone is encouraged to recommend a microblog. You can see all the recommendations and there is even a Micro Monday podcast.